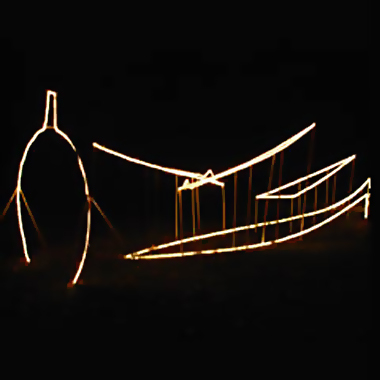 Anamorphic Jack-O-Lantern is the rope light installation for Halloween 2006, a collaboration with Jennifer Lim. Unlike previous years, this piece was a puzzle for the neighborhood. Coming into focus from only one angle, the Jack-O-Lantern face is revealed.